I finished reading through my seed catalogues and cross referencing the offerings against my Maritime Northwest Garden guide. My goal was to increase both the variety, quality and uglyness* of this year’s garden. 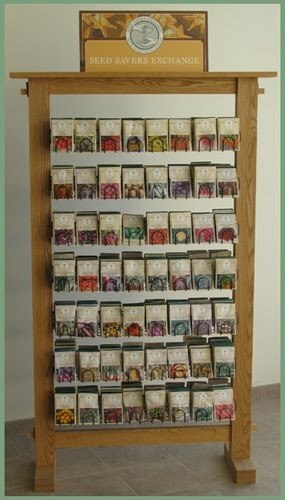 I found that Seed Savers Exchange had the most seed varieties I wanted to get this year, so I will be ordering from them. *Heirloom tomatoes are less attractive thain their mainstream siblings, but can be more flavorful. That’s a lot of money for seeds! I need to see if someone wants to share some of these seeds with me. I will gladly share a seed packet with anyone in the area for half the price. I may also need to remove a few packets from my order before clicking ‘Buy”. Thankfully, a seed packet will generally last 3-5 years. I am still successfully germinating seeds from 2005, and I haven’t made any great attempt to preserve my seeds. Going forward, I am going to store my seeds in an airtight box with a few of those desicant gel packets in it to keep everything completely dry. I should store it in a cool dry location to increase the duration where they will be viable.